We are having a yummy day here at The 36th Avenue! I am sharing a delicious dip recipe that I made up inspired by the love of anything mint in our home. 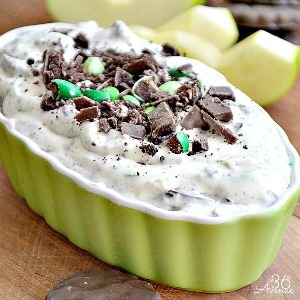 If you like chocolate mint candy and thin mint cookies you are going to love our Double Mint Creamy Dip Recipe! 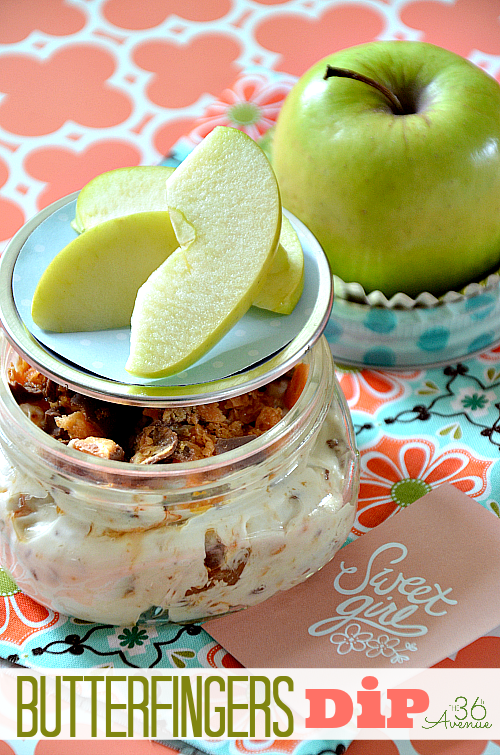 This dip is ridiculously good! 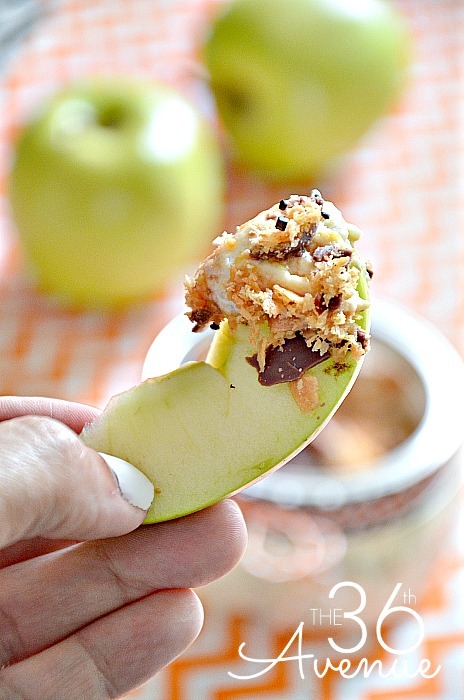 We ate it with crispy green apples and oh my goodness the combination of the sweet creamy mint dip and the freshness of the apples was perfection! 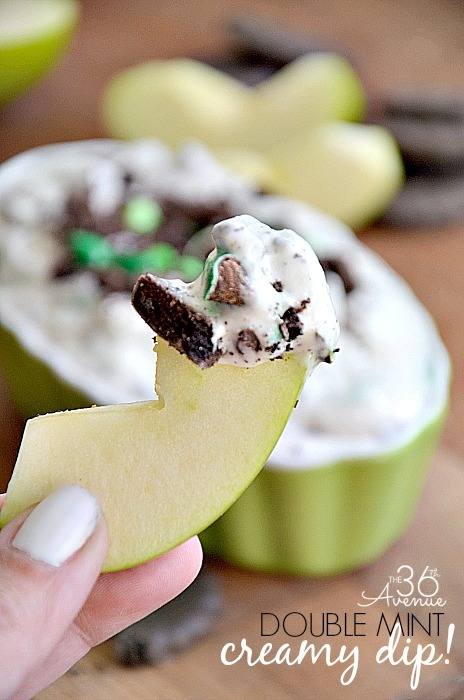 You must try this dip recipe! 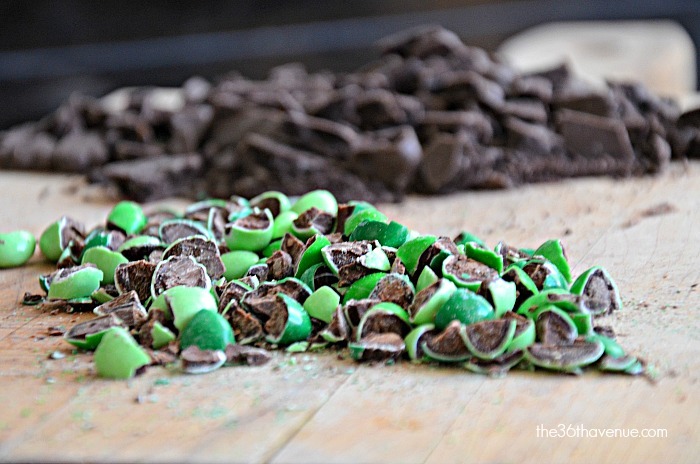 I am warning you, I named it Double Mint for a reason… So darn good! 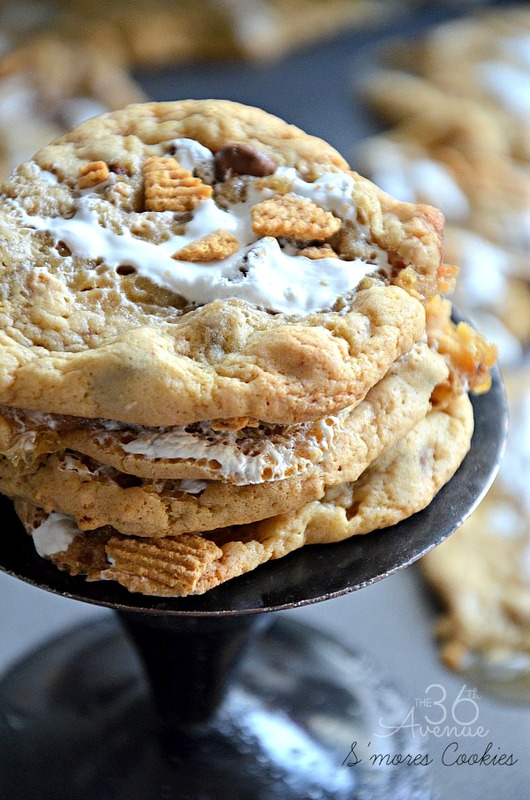 Chop cookies and M&Ms to a desired size and put aside. In a medium bowl with the help of a hand mixer mix the cream cheese and marshmallow creme together. 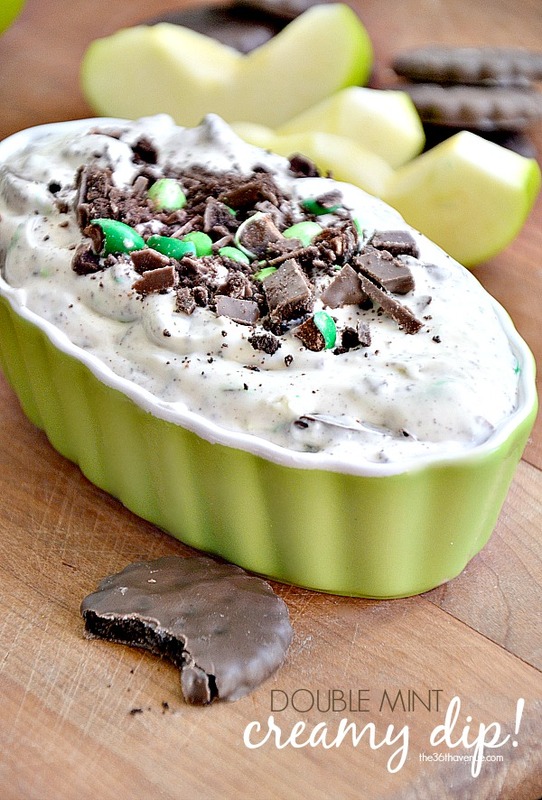 Incorporate the cookies and M&Ms to the mixture mixing all together. I dare you to have just one bite! Trust me your life will never be the same after you try this! 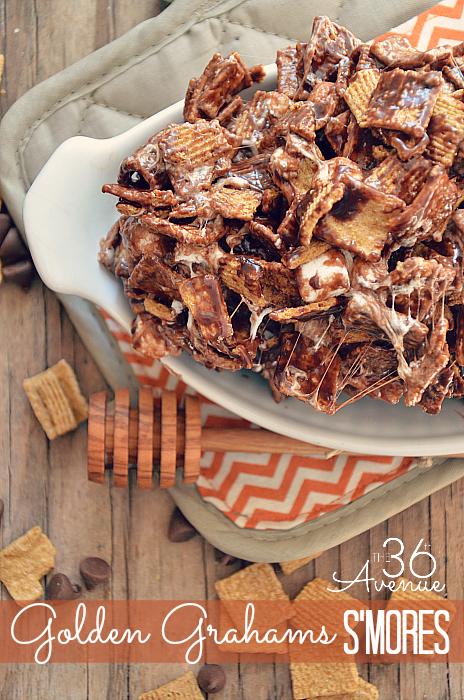 Try our S’mores Snack Mix! As you can see we love to eat around here! Have a yummy day and don’t forget to be delicious! Can’t wait to try this recipe out! Thanks for sharing! Oh my! Looks so good Desi. Yum! Oh yum, Desiree!!! 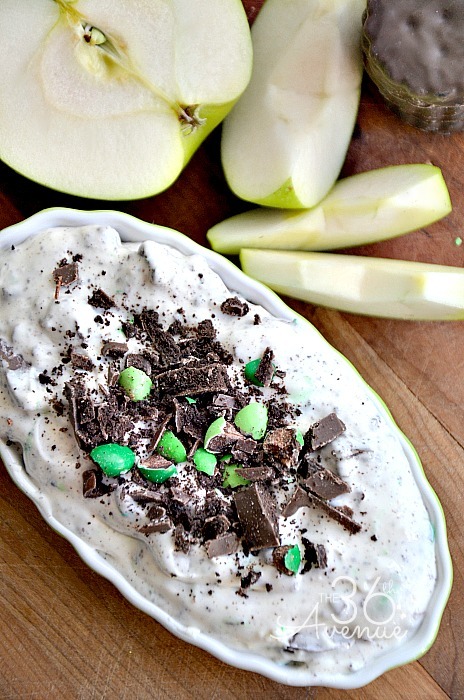 My family absolutely adores thin mint cookies and they will go bananas over this dip! It looks so good! Pinning and sharing! Have a happy and wonderful Wednesday – hugs!